Yesterday 50 completed UMCOR Cleaning Kits or Flood Buckets were transported from Sterling UMC and delivered to the Burke United Methodist Church where they were loaded on to the Burke UMC church bus. 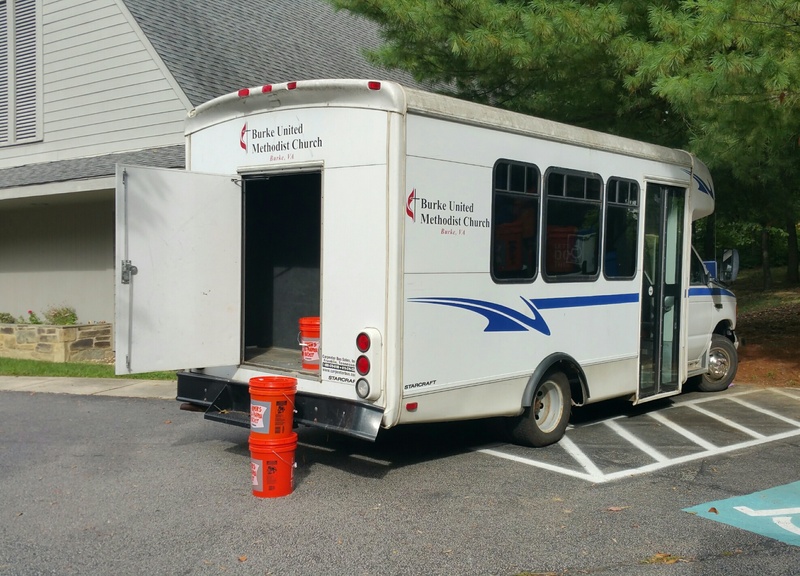 This morning around 10 AM the Burke UMC bus left for the Virginia United Methodist Center in Glen Allen Virginia, the northern Virginia regional drop off site. 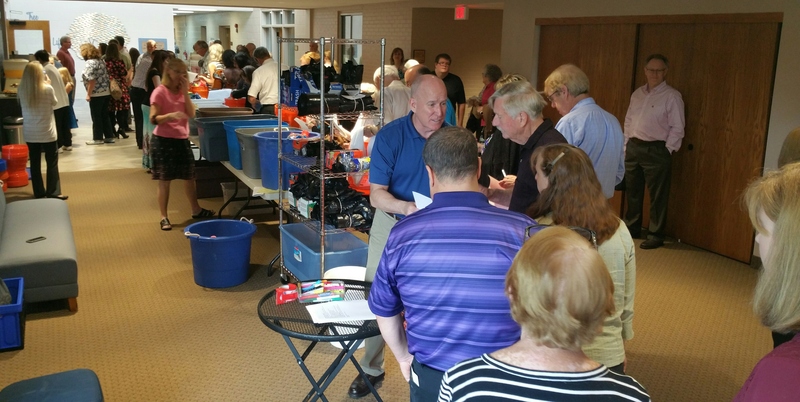 Two other local churches Warrenton United Methodist and the Cranford United Methodist Church (Lorton) served as local drop off sites and transported buckets to The Virginia Conference in Glen Allen . Members of the local community and Sterling UMC donated the items necessary to complete the 50 buckets. This past Sunday, during Sterling UMC’s Growing Deeper at Ten hour of service, the buckets were assembled and the their lids secured to make the trip to help those in hurricane and flood damaged areas. In addition, Girl Scout Troop 495 of Arlington, Virginia responded to the call for help on social media by assembling and delivering to Sterling UMC 48 UMCOR Hygiene Kits. 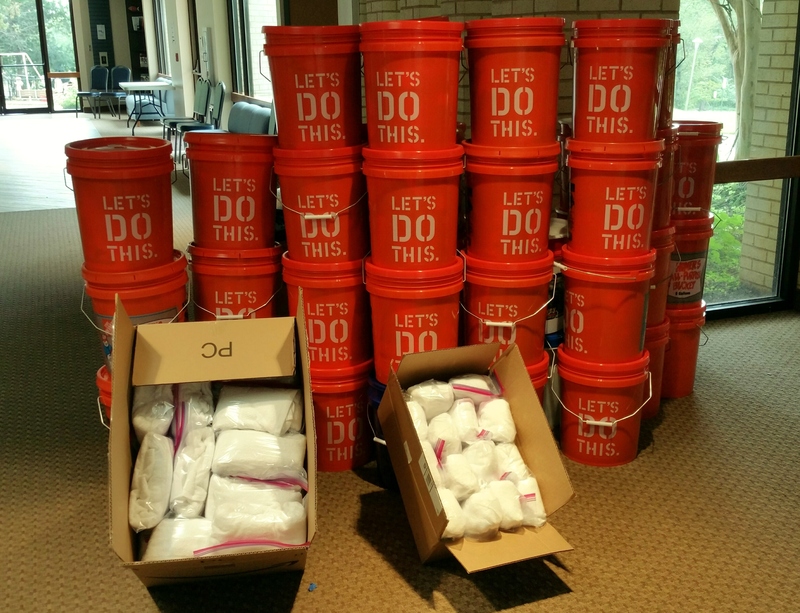 Those kits were sent south with the cleaning buckets on the Burke UMC bus. Since making that statement Hurricane Irma has left her destruction across the Caribbean and Florida. 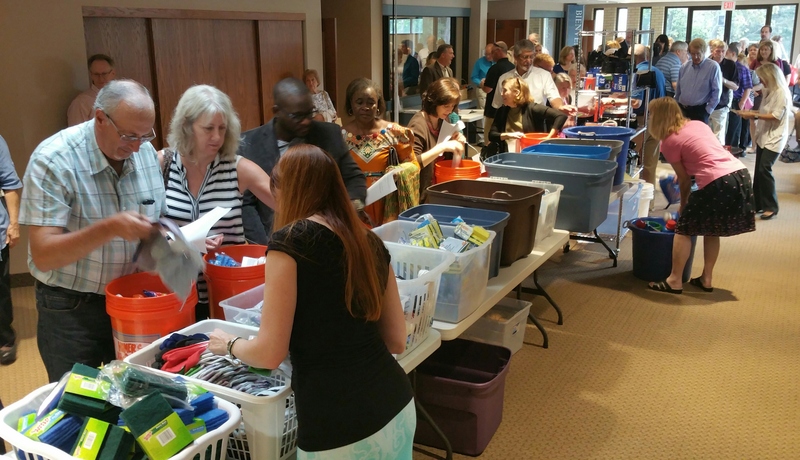 This next Sunday September 24, Sterling UMC will continue its efforts to provide relief materials by assembling Hygiene Kits during the 10 AM hour of service. Also UMCOR requests a $1.00 per kit donation to provide toothpaste with a current date. Donations of these items can be delivered to the church donation center in the lobby/narthex through Friday September 22. If you would like to help assemble kits join us at 10 AM this Sunday morning! God bless everyone who participated in providing product, assembling buckets, and praying for those in the storm zones and those responding to the call for action. More prayers and more action will be needed as more storms and disasters threaten even as we read this. The Children’s Worship participating in bucket effort.